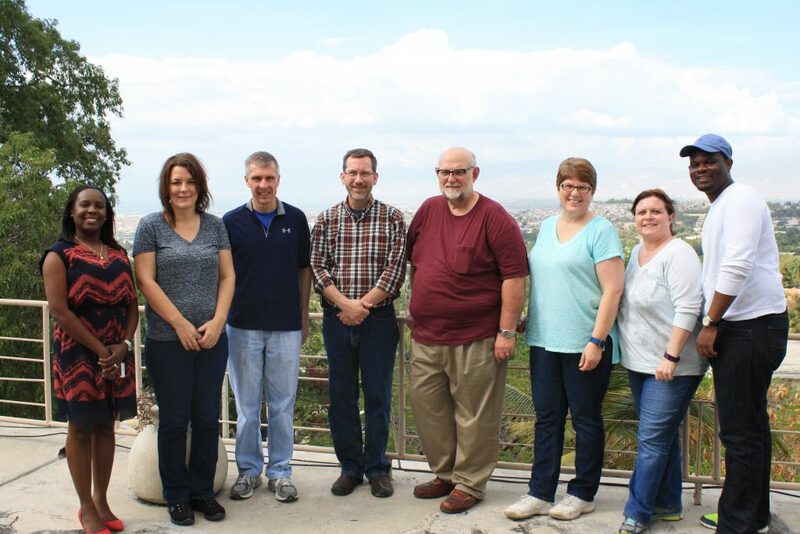 Eight Mercy Health volunteers are in Port-au-Prince, Haiti, this week. They are preparing to welcome the first patients to the new Bishop Joseph M. Sullivan Center for Health in Côtes-de-Fer. The coastal city is approximately four hours by bus from the capital city of Port-au-Prince. In 2013, Mercy Health committed a $2 million challenge grant to build the center, which will provide quality primary, emergency and specialty health care services to more than 50,000 residents. Before construction of the center, the nearest hospital was 90 miles and a three-hour journey away. For many, that made access to healthcare impossible. The Mercy volunteers are working side-by-side with members of the Catholic Medical Mission Board. The board works actively to provide comprehensive care for those living with HIV/AIDS; to distribute medication; to help prevent and treat malaria; and to offer rehabilitation for amputees. More than 40 CMMB board members and guests, including Mercy Health president and CEO John Starcher, attended the grand opening earlier this week. Over the last three years, Mercy Health has engaged in monthly calls with members of the CMMB team to identify needs for supplies and funding. In addition, small teams have traveled onsite to assist with care.